How men can reach perfect skin? 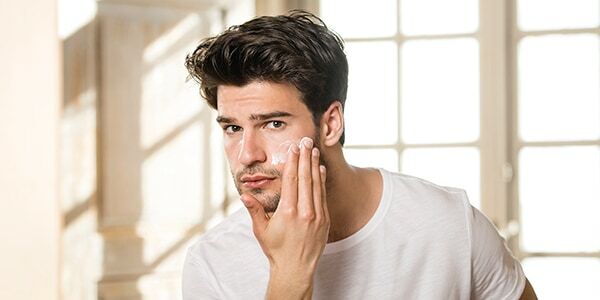 Why men need special product to treat their skin? What’s the difference between men and women, skin-wise? First off, the thickness. Men’s skin is about 10 percent thicker than women’s with more collagen. 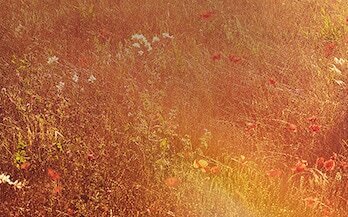 That means that men see visible signs of aging later than women. But once the first signs show up, it gets worse faster and wrinkles are deeper. The top-most layer of a man’s skin is thinner than a woman’s – which means it’s more sensitive to external aggression. 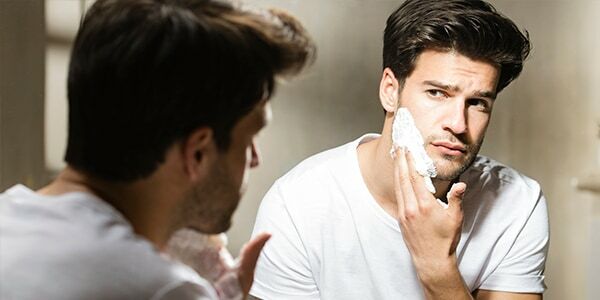 Men produce twice as much sebum as women – which means their skin is oilier and more prone to acne. And then, of course, there’s the issue of facial hair. Cleansing is crucial to keep your skin looking fresh, and get it ready to absorb all the benefits of your next steps. The Cedrat Pure Cleanser gives men’s skin a deep clean to remove dead skin cells and impurities. It’s perfect for normal and combination skin and will inject you with a burst of energy. Refresh your tired skin and avoid puffy eyes with targeted products like L’OCCITANE’s Cedrat Energising Eye Gel. Use it to revitalize and moisturize the sensitive skin around your eyes. Men are particularly prone to dark circles and under-eye bags, so take good care of those peepers! Keep skin looking younger and healthier with proper moisturizing. 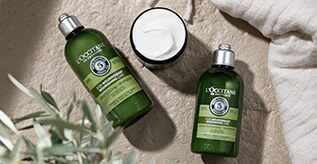 L’OCCITANE’s Cedrat Global Face Gel provides triple action in one single step to fight against dry skin. 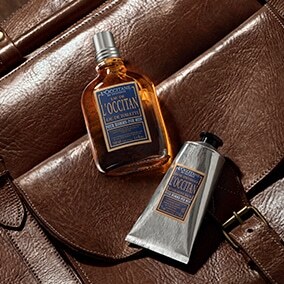 It hydrates, mattifies and energizes, to keep men’s skin looking less oily without drying it out. If your skin tends to be drier, the Cade Complete Care Moisturiser is a 5-in-1 wonder that leaves skin feeling comfortable and soft while fighting the visible signs of aging. 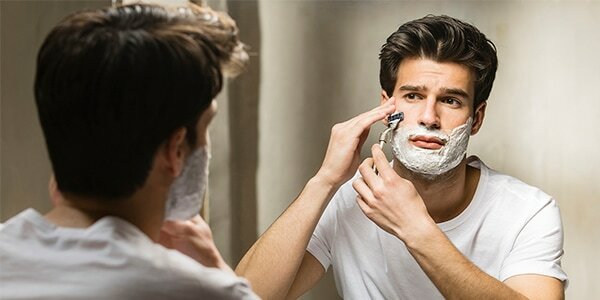 Shaving is one of the most indulgent moments in the universe of men’s skincare. There really is nothing like the feeling of a fresh, close shave. 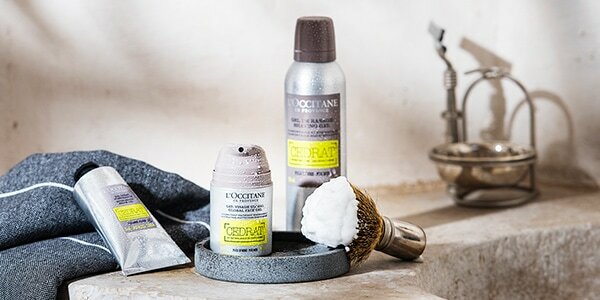 We at L’OCCITANE know this, so we’ve come up with ways to take your shaving pleasure to the next level, adding another layer to the sensorial pleasure of a good shave. 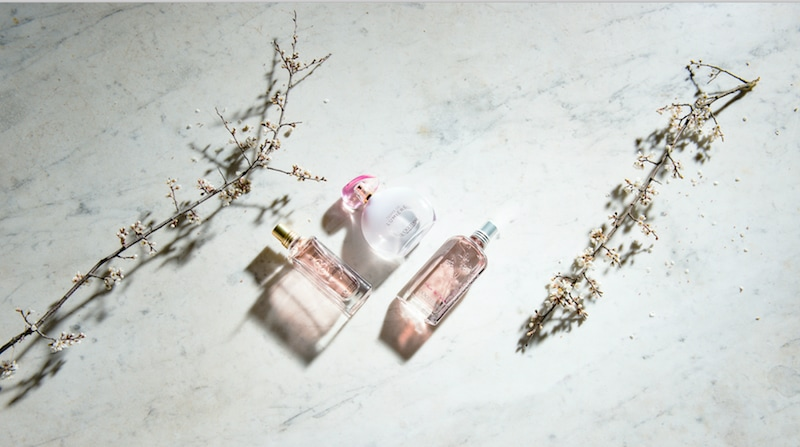 Any ideal routine starts with a hot shower. Apply our Cade Shaving Oil in the shower to soften coarse facial hair and nourish the skin underneath – for a faster, smoother shave. It’s perfect for men who are in a hurry or travelling, and who don’t want to waste time to get their perfect shave. Noticed you’re looking tired lately? Under-eye bags and dark circles affect half of men between the ages of 20 and 30. They can make you look older, tired and dejected – and you don’t need that kind of negativity in your life! To prevent bags, try this massaging technique called lymphatic drainage. 1. Apply an eye cream or gel onto your index fingers and pat gently onto your eye contour. 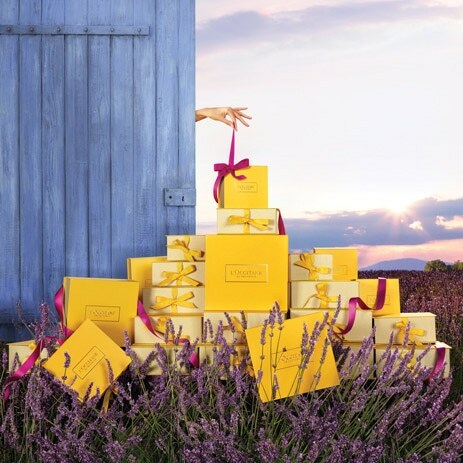 Try L’OCCITANE’s Cedrat Energising Eye Gel – the rollerball makes application easy! 2. Gently press two to three times on the hollows in the inner corner of your eyes, near where your eyebrows meet your nose. 3. Trace along your eye contour – up, across your eyebrows, to the outermost corner of your eye and back around. Repeat several times and then reverse directions. 4. Lightly sweep under the eyes from the inner corner of your eye down towards your cheekbones. 5. Use small circular motions to repeat the same path around your eyes.